Disruptions are scary simply because you have no idea if a disruption will serve to negatively impact the progress and strides made to date. It is the fear of the unknown. Every baby is different and some babies handle disruptions more smoothly than others. I thought it would be helpful, however, to get some insight on what real-life experience people have had with disruptions. You can see original answers here. Answers were also shared on my Facebook Page. I love the pearls of wisdom readers always throw out there when I am going through these poll results. Be sure to read through the content here. 1-How would you describe your baby/child’s general personality? For example, angel, textbook, spirited, touchy, grumpy, easy-going, etc. 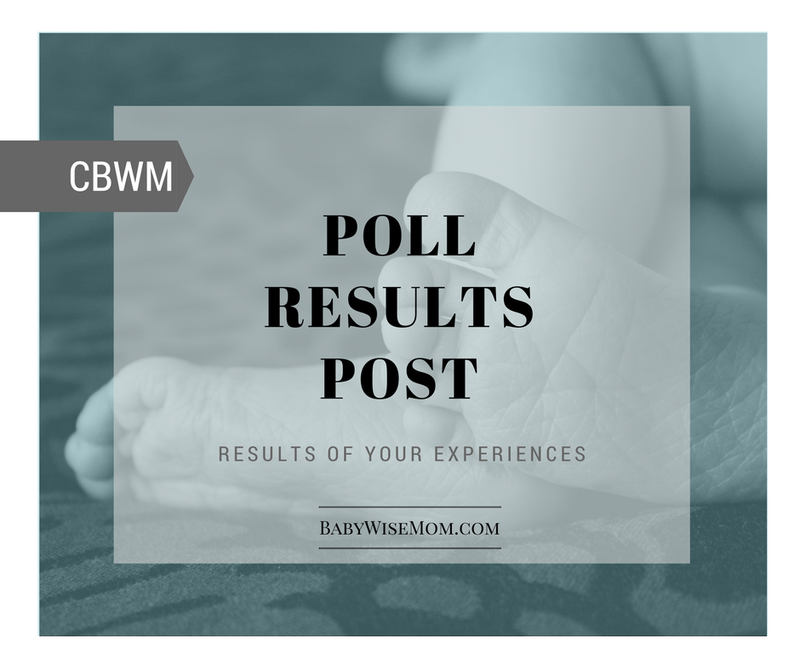 2-How did/does your baby/child handle disruptions to a daily routine? What is the result? For example, go with the flow, sleep gets messed up, increased crying, no change, etc. Katie said: “A – My oldest, a spirited to the extreme baby, seemed “messed up” all the time anyway as a baby. It was nearly impossible to get him to sleep as much as he really needed, although I tried hard! But the nice thing was that he did extremely well with disruptions, at least during the disruption. He was a very cheerful and outgoing baby. Getting him caught up on sleep after was sometimes a challenge. B – My second, a textbook baby, was pretty textbook with disruptions. I think she would do okay with them most of the time. 3-If your baby/child has some sort of change from disruptions, about how long does it usually take to get back on track once you get back to your normal routine? 4-Is there a limit to the duration of disruptions your baby/child can handle? 5-What is your current policy on disruptions? Do you limit, do you banish, do you allow all disruptions, or do you have some combo or play-it-by ear approach? 6-Any words of advice for parents facing disruptions?